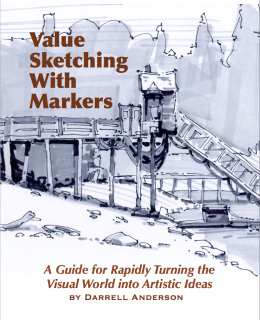 A Guide to Turning the Visual World Into Artistic Expressions. Includes the Book and Sketchbook only. 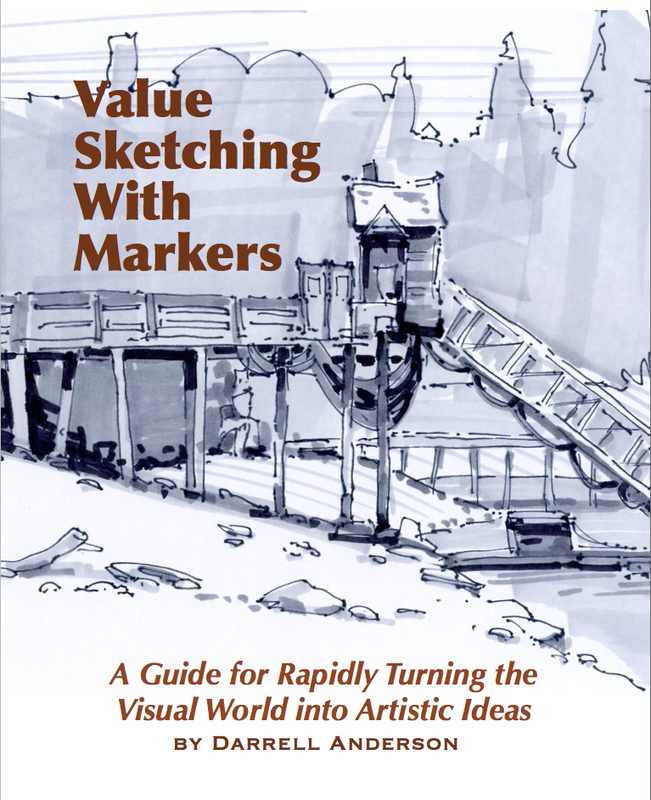 If you already have markers and pens, or want to wait and find them yourself, this is definitely the way to go. This gives you everything. You can begin drawing when you get your package. It includes the Book, a larger specially made marker Sketchbook, three Copic Markers, a White pen, a Black pen, and a full size giccle print of one of my drawings signed and ready for framing plus a protective folder to take with you into the field. All the supplies I give to you at my cost. The print, which is normally $30, is included at a reduced price. This version includes 3 Copic Markers, an enlarged sketchbook, a black pen, a white pen, a protective field folder and a signed ready to frame giccle full size print of one of my drawings (normal price is $50). Get the package and be ready to draw immediately. Includes shipping only in the U.S. I will be including prices for other countries soon. $85 plus $12 shipping and handling.